I’m a technical writer. That means I write Frequently Asked Question pages (FAQs) on a regular basis. (You'd be surprised how much fiction I've written in the technical writing side of my career.) Anyway, I wrote an FAQ for His Secret Past and the comments were a ton of fun so it’s become a tradition for every book. 1. So the title of the book is Married by June. Is June a minister or a sea captain or what? No one in the book is named June. The title means Cooper and Jorie get married in the month of June. Get it? 2. Your titles are so complicated. Next time try for something more straightforward, would you? Wanted Man was hard to understand? 3. It wasn’t about an outlaw, was it? Let’s move on. Do you have questions about something besides the title? 4. The hero works as a speechwriter for his brother who is a Senator. Do you have a background in politics? Yes, I do. I grew up 2 houses away from the childhood home of Vice-President Joe Biden in Scranton, Pennsylvania. 5. That's it? You grew up near a politician? Actually, he moved away long before I moved in. I just like to tell people he was my neighbor. * I learned the political stuff for this book the boring way. Research. 6. If Cooper is this big political guy, don't you think he should have worn a suit instead of a t-shirt on the cover of the book? Clothes don’t make the man, sister. At Superromance we value unpredictability. Take a look at Mason, the rock star. 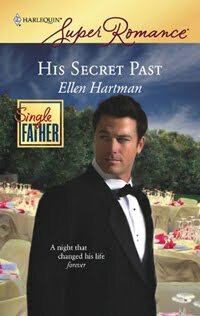 He wore a tuxedo on the cover of his book. 7. Are you saying there’s no special reason behind the t-shirt? 8. Hmm. Actually, that's an excellent reason, isn’t it? What? I was looking at something and didn’t hear what you said. *When Joe Biden went back to Scranton recently for a visit, he bought hoagies for his entourage at Hank's Hoagies. I also buy my hoagies for my sons/entourage at Hank's when I'm home in Scranton. We're totally connected. 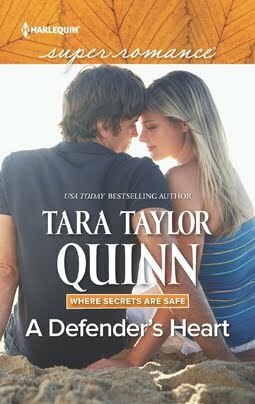 Warning: This is a romance novel. Characters who get engaged in the prologue are due for trouble. Jorie and Cooper are broken up by page 35. For the record, it's my editor, Victoria, who makes me torture the characters this way. My question for everyone is what's the most memorable proposal story you've ever heard? Or maybe you'd like to share your own proposal story. Everyone who reads this blog likes a good romance, so give us your best shot. Here's my story --> I asked my husband to marry me while we were hiking at the Mt. St. Helens National Volcanic Monument. Here we are having our first dance at our wedding. I'm giving away 5 copies of Married by June to people who comment on the blog today! Let's hear those stories. I could have done with the romance: but there was no bended knee or outpourings & declarations of devotion. It just arrived. No fanfare, just acceptance. We bought the ring together, sad but true. This could be why I need romance books in my life. Look at that, better than therapy. Oh my goodness, that is amazing. I loved the part where the puppets held hands and twirled and the Hide and Seek moment. Wow. Thanks so much for that link. I loved it! They where on vacation at a sunny place. Beautiful surroundings, no heards of other people around, the sun was shining, blue skies and everything. He goes on one knee and askes her to marry him. How am I going to tell the kids you were wearing a sunburn with your speedo when you asked me THE question?! We all know she said yes but it was a funny tale. My boyfriend bought me a tcket to Europe (from Aussie) for my 21st birthday. With my parents adding in some cash instead of a party and my hard earned we were off for nearly a month. It was his birthday, 2 weeks into the trip. We'd had a magical day under the winter blue skies of Barcelona and he proposed with an amzing ring he'd carried the whole time (terrified of losing it he told me later). Shock left me speechless. He added "it's not a joke'. I hurried to say yes. I went to ring my mother and sisters only to learn they all knew because he'd asked for my hand in marriage before we left. Sigh... he's still a keeper 12 years on. Kristen--that story is wonderful. You can tell the bride was positive the husband would be around for a long time! Thanks for sharing! Bec--what a romantic and memorable proposal story! He does sound like a keeper. I was sold when he said, "It's not a joke." Too cute. Thanks everyone for sharing. Keep the stories coming! Hi Ellen ~ I love the FAQ. I loved the book. His Secret Past is still my favorite of your books though. It's the book that sat in my TBR for months because I wasn't sure I'd like a rock star hero. Back to your current book ~ Jorie and Cooper did get tortured but along the way they each found out what they really wanted in life. Five people will be really lucky to get a copy of this book to read. Now the burning question is when is your next book due? My husband to be proposed on our first blind date. He had a slight advantage as he had seen me the night before at a dance. I did not take him seriously. I did say yes almost a year later on his 22nd birthday when I was 19. We have been married for over 40 years now. There have been ups and downs but he is still the love of my life. Hi Kaelee! I think you told me that story about your husband before because I remember how romantic it is. We must have chatted about this sometime on eHQ, maybe. You and I are living proof that blind dates can lead to very good marriages! Married by June is my first book that doesn't include kids. When I sold the proposal, there were 3 nephews and Cooper worked at his family insurance business. This book changed a lot during the writing process. 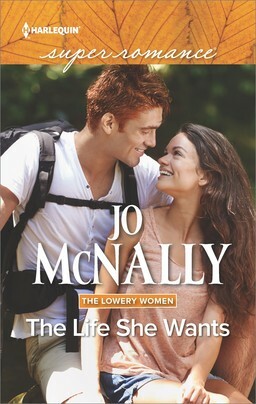 I have a deleted scene on my website that features Jorie's sister. She got cut out of the book entirely! 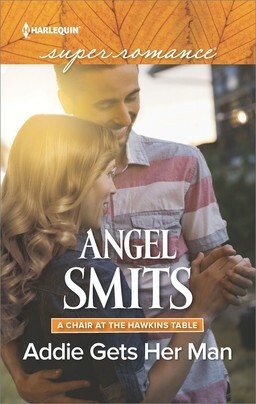 I will have two books out in late 2012. They should be back to back, I think. The heroes are brothers, Deacon and Matt Fallon. Deacon is an ex-basketball star who raised his little brother. Not a worried dad, but a worried big brother gets pretty close! 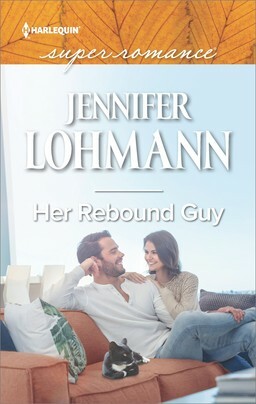 The heroine asks him to come back to his hometown to help her coach a girls' basketball team. It was great to revisit your story, Kaelee! Thanks for stopping by. You so made me laugh this morning. Love your sense of humor. And Seaseme Street steps make me want to buy the book! You drive past the proposal spot so often and it's still special to you? Mr. Liz must have done a bang up job with his work. Did you know you were going to live in Shreveport or was serendipity at work? Thanks for commenting even without the log in. Things seemed to be working better for me today. I hoped the problem was cleared up. I love your FAQs tradition :) You're too funny. And Sesame Street...I'm going to think of that every time I see your cover. Maybe I was a romantic even as a child, but I was convinced (still am) that there was a good dose of romance/chemistry going on at Sesame Street;). One of my favorite proposals is to Emma Thompson in Sense and Sensibility. I'll admit that I cried with her. Back again. I just went and read your FAQ and the deleted scene on your website. I loved Jorie's not a sister. Got a great laugh out of Hugh. Thanks for my morning chuckle. I didn't see the Sesame Street resemblance until it was pointed out by a friend. In an earlier version of this FAQ, the question said, "Grover is my favorite muppet. Is the hero of this book named Grover?" True fact-->Grover is my favorite muppet. I think he's a great Beta guy. Heroic in the face of his own insecurities. Loyal. Kind. In touch with his feelings. Emma Thompson is amazing. I'm with you on that one. I'm so glad you got a kick out of them. I understand why they had to get out of the book, but I'm glad the internet exists so they got to stick around. No cute proposal story for me either. LOL Too funny, Ellen! As always. Gotta rush because of the dark clouds rolling in (Please stop it with the storms already!) but wanted to say hello since I've been absent due to deadlines. Love, love, love the FAQs and the pic. I was proposed to on a picnic before my college graduation. It was very sweet. I went on a search last night for proposal stories and I have to say, some of them were pretty darn out there. Your comment means you're now entered to win a free book. Free books are always a good thing, in my opinion! Hi Kay--You got engaged before graduation? That's pretty romantic. I think a picnic suits you, too. Did you ever see the musical of "Legally Blonde?" There's a song my boys love from the show that's about Elle's pending engagement. It's called "Omigod You Guys." I wonder how your college buds celebrated with you? Thanks for stopping by. I know you're busy! And he did buy me a wonderful diamond ring for our 25th anniversary. I'm eagerly awaiting June 1, so my Kindle purchase of your book will show up on my iPad. Wait, Deb, your ring sounds fantastic. Do you still have it? (I love the symbolism complaint.) Post pictures on your blog. I want to see it! My proposal to my husband went like this, "So, if I move back to the east coast to be with you, are we going to get married, or what?" Was yours better or worse than that? We made up for our lack of romance with the Day of Engagement we had together when we made things official with a ring. I bought him a watch and had an inscription put on the back. It was a quote from a song he used to sing to me, "Without a warning, you stole my heart." Unfortunately, I didn't know that he'd changed the words to the song to sing to me. The real song is "Without a warning, you broke my heart. Taking it, baby, tore it apart." Hee. It still makes me laugh when I think about it. FYI for anyone who cares: The song is "Turn on Your Love Light" and the version my honey loves is by the Grateful Dead. One of my favorite proposals was Patricia Arquette and Thomas Jane. She loves silent movies, so he rented out a theatre for a private showing. He cut himself into a Charlie Chaplin film and held up cards asking Patricia to marry him. Their marriage hasn't had a happy Hollywood ending, but it was a sweet start. No huge fanfare here either. He asked me during a marathon overnight phone conversation, one of many following our first date, just 15 days prior. We'd known each other, or more like knew of each other, for years because his brother had married my best friend six years earlier. We met at their wedding, but no sparks. Not then, anyway,not until We met again five years later. Ellen, your FAQs were so funny. I'm looking forward to this new book. My proposal wasn't a complete surprise since my future husband asked a friend while we were playing cards, "Where did you get Mary's diamond?" I tried to pretend I hadn't heard him say that and he didn't say anything more about it. I left a few days later to visit my family for a couple weeks and, of course, all my friends and family wanted to know what Bill and I were planning since we'd been dating for over a year. I assured everyone we were just friends since I didn't know anything for certain! The day I got back he proposed and I had to call my parents and tell them "My good friend and I are planning to get married!" No romantic proposal story here. We were in the car and he just stuck the ring up in my face and said lets get married. My proposal came at a very difficult time in my life. I was diagnosed with Rheumatoid Arthritis in college. I had been dating my husband since high school. As I was trying to figure out how to deal with the disease, how to handle it, he said "Let's get married." He was out of the Army National Guard and had a good job. So we got married and over forty years later, we're still dealing with this disease and life together. Hi Ellen! I love your question and answers, very funny. As for my proposal it was kind of romantic but lets just say its not a story we will be sharing with our kids, lol! We were laying in bed and talking about what we were gonna do the next day and he just kinda sprung it on me. Of course I said yes and we were married less than two months later. That was almost 12 years ago now and everyday in just another adventure! Love the faqs and all the proposal stories! This is my favorite "out there" proposal- http://leighgallagherart.blogspot.com/2010/11/message-for-niki.html Especially this line- "I'm ready to be the better man I know I can be for you." That gets a big "Aaaaaaah" from me every time! My own proposal was a little less romantic. We'd only been dating a month, but it was clear without either of us saying anything about marriage we were serious. He drove me mad in so many ways, yet I knew he was the man I was meant to be with, with a certainty I'd never felt before. My previous boyfriend and I used to spend hours in conversations where we'd discuss it we were an X, meaningful but short-term; or a Y, together for the long haul. At the time I didn't realise- it you have to take so long wondering about it, chances were high this was an X! Anyway, this time, I knew it was most definitely not an X, from early on, and he seemed to feel the same. Then one night he proposed- should ahve been wonderful, but trouble was, he'd been drinking. I wasn't even sure he remembered the next day as he didn't say anything about it. Then about two weeks later he suddenly said "That thing I said, about getting married. I meant it, you know. When are we buying a ring?" And that was that. Summer--what a great proposal story. The puppet one in the first comment took a lot of set up and expertise as well. I'm impressed by these guys. Patricia--Those marathon phone calls are a good indicator of deep connection, I think. My hubby and I dated long distance (New Jersey to Seattle) for the first 1.5 years we were together. We relied on the 800 number he had at work. Such great memories. The timing of your relationship is one of those truth is stranger than fiction things, don't you think? To meet and not have the sparks and then a few years later you go from Hi to proposal in 15 days. Your story is hilarious. Your poor husband! I'm glad he wasn't daunted by your refusals. That's a real hero. When pigs fly...too funny! Hi Jan! Your proposal story is so sweet. I bet your husband was grateful that you didn't let on that you knew. And then you were answering the questions all the while hoping but not sure? I'd have died. My best friend's husband told ME he was going to propose to her, and then proceeded to wait more than a week to do it. I told him it was against the Girlfriend Code for me to keep this kind of information secret, but he insisted. He wanted a surprise. Sheesh. I almost burst and the ring wasn't even for me. I don't know how you stood the suspense! I'm loving these stories. My darling man packed an overnight bag for me and took me away for a long weekend in the city. We stayed in a 5 star hotel and went to dinner at the lavish hotel restaurant. He popped the question there. It was really special and I love that he took the time to plan the surprise for me. Hi Virginia--some guys seem to get a bit overwhelmed by the situation, don't they? I bet you were surprised! Thanks for sharing your story. Linda--wow. Your story is so beautiful. What a great guy he must be to step up at a time when some folks might have been scared or unsure. He sounds wonderful. Also, 40 years? My hat is off to both of you. Alina--Hee. I can see why you might not be sharing that with your kids right away. :-) It's a great story, though. A two month engagement sounds just about perfect, too. I was originally supposed to be engaged for around 18 months but I realized I wouldn't be able to stand the wedding talk for that long so we moved everything up and got married 9 months after the engagement. You did things right! Autumn! Your proposal story would make a great chapter in a book. I can imagine writing his internal dialogue for the characters as they're trying to figure out who remembers what and who should make the next move. So funny. Thanks for dropping by and sharing your stories! Beth--I love the late night roadtrip proposal. Very romantic. I bet it's great when he tells it from his perspective. I hope you'll like the book! Toni--the stories are great, aren't they? Every one has a little something that makes me smile. I'm so delighted folks are stepping up to share. Hi Tammy--how right you are. When the guy is a keeper you have to make the leap. I met my husband right after I'd sworn off men. I was a little peeved at myself for falling in love with him, but I couldn't help it. How about your guy, hanging on through 2 years of proposals? Wonderful. Ellen, no proposal story but a questions. What's a hoagie? Hey Ellen! My dh asked me to marry him when we were on vacation on Oahu. Surprised me with a ring, even! That night we went to an Asian place for dinner and his fortune cookie said, "Wedding ring like tourniquet cut off circulation." No kidding. I think I put the little scrap of paper in our wedding album! I don't know of any great proposal stories. I've only heard of the regular ones where the proposal happens over a dinner or in a park. I don't have any wonderful proposal stories either. Great FAQs! 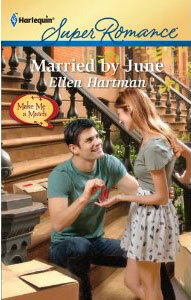 Married by June sounds like a great read! Hi Karina--A hoagie is a sandwich. Some people call them submarines or subs? Grinders? Heroes? Hank's is a little store in my old neighborhood. When I was a kid, Hank and Myra owned it. They had a penny candy case and a big silver drink cooler. I couldn't afford hoagies back then. Now a guy named Tommy Owens (he grew up with me) owns it. The hoagies have a special sauce that makes them delicious. My husband says that no matter how big or small your order is, Tommy charges you $7.50. Thanks for the question. It's the exact spirit of the FAQ post. Helen--that's the funniest story. Your poor husband...I bet he PAID for that fortune cookie, didn't he? Here we are: Proposal Video. Dated another guy for 1.5 years but knew my now-husband via friends. When I broke up with old boyfriend, now-husband found out and asked me for a date on Labour Day Weekend. Unbeknownst to me, he bought my ring in late October. He invited himself to my family's Christmas at my sister's apartment 2 hours away. DH and my parents were fully dressed; my sister and her family were in their pajamas; I was in a caftan. My last gift to open from him was my ring. He asked if I would marry him, and MY MOTHER said yes, that I would. I was 21 and DH was 31. It was too soon for me, so I requested a couple of weeks to think about such an important decision. I wrote out a list of why I wanted to marry DH; why I didn't want to marry DH; why I wanted to be married; and why I didn't want to be married. The reasons NOT to marry were THREE TIMES longer than the reasons TO get married, but I soon realized that the quality of those answer FAR outweighed the quantity, so I said yes. We were married the following July, when there was a yearly shutdown where he worked. Laney--that's a beautiful story. I haven't heard it before but if I had, I'd enjoy reading it again. I love the caftan detail and your mom saying, "Yes." Your lists are great. Someone told me once if you want to make up your mind, you should flip a coin. While it's in the air you'll wish for one result over the other. I think your lists may have worked sort of that way for you. Congrats on your happy life together. 30 years is amazing! Everyone has these perfect little moments that capture the spectrum of emotion--love, joy, surprise, genuine caring, and humor. The buzz kill conversation is priceless. I must be the Grandma here.....we were married 53 yrs. ago on a tv show called Bride & Groom (yep, in black and white days). It was taped so we got to watch it about a month later when it was shown on tv. I am sure none of you were born then!?!?! Would love to read your book! I loved Calling the Shots. Thanks for the giveaway! I've really enjoyed the proposal stories. Great topic, Ellen! My husband was a bit of a confirmed bachelor when we started going out, so when he said one night, "I want it all," I assumed he meant the steak we were having for dinner. Then he said, "Kids and the whole nine yards." So we had the steak, the kids and the whole nine yards. We celebrated 30 years last month. Your FAQ is witty and made me laugh. No romantic proposal story from me- the proposal was heartfelt but not cute enough to share as a great story. Hi Jackie--what an amazing story you have. Did you know the proposal was coming? Very cool story. I'm so happy you dropped by to share it. Hi! We love giving away books, so thanks to you for stopping by! Jeannie--your story is great. It's funny that you're not the first person who mentioned being confused by a proposal. I think some of the guys need to brush up their communication skills. I'm glad you got the steak and the kids and the whole nine yards. Nice way to sum up a happy marriage! Hi Claudia--I spent quite a while on YouTube looking at proposal videos this week. Some people are just impossible creative and energetic. It's cool that the Internet gives us these looks into the lives of people we'd never know. Thanks for stopping by! Hi, Ellen! Your FAQ brought me a smile, as usual. I always enjoy your sense of humor! At one point, he asked what I'd say if he asked me to move there and live with him, and I said, "No way. Why would I leave my job and my family for a guy who isn't even willing to commit to being with me for the long term? Besides, I work for a University, which isn't going to transfer me to another state, but you work for GE (at that time). GE's major appliance park is in Louisville, and you have sisters who can help to look after your dad here." That made sense to him, and thereafter we occasionally talked obliquely about marriage, as in, "...if we got married..." I think we both knew it would happen eventually, but we had no official plans. As it happens, GE sold out their small electronics (where he worked) to RCA, which then sold to Thomson, so his workplace was going to be closing up. We figured that he could look for a new job here just as well as he could there. The closest he came to proposing was to ask me whether I thought a person could really make a solumn vow until death do us part when marriages break up all the time. I told him that I thought probably God looked at what was in our hearts when we made the vow and at how well we tried to honor it. Beyond that, I thought He realized we weren't perfect and would forgive us for mistakes that we couldn't predict because none of us knows for sure what the future holds. A week or so later, when he was here visiting me, he asked me if we wanted to look at rings. So, there was no grand proposal, but his actions every day speak louder than words anyway. It's in the little things he does and says, like calling me to thank me for making his lunch every day after he eats it and always telling me he loves me when he leaves or ends a call or before we go to sleep or telling me (sometimes to my annoyance when I have things to do) that he can't sleep well unless I'm in bed with him. So, no grand romantic or funny proposal here, but we've had a wonderful, loving marriage for 23 years and a lovely daughter. (He's a great dad, too, by the way!) Can't ask for much more out of life. Make that "a solemn vow". Why is it I always catch typos AFTER I press post, even when I've read it over about 5 times first? Grand romantic gestures...bah, who needs them when you have the kind of every day, deep and true romance you and your guy have? You've written so beautifully about him and about your journey to each other and with each other. Thank you. P.S. I know several folks who got together via Compuserve. It was quite a community when it was active. A day late and a dollar short, Ellen, but I just had to tell you how much I laughed over your post. I am late too but this has been such fun to read. I gave my future hubby a stock book on the first date anniversary and he gave me a ring. Never got over that! And it has been 30 years. Hi Rogenna--Late is a-okay with me. I'm just glad you enjoyed the post! I've had such fun with our blog and we owe it all to you! I hope you have a great weekend. A bit crazy and dramatic... not my cup of tea!